We know that everyone has there own sense of personal pride in the level cleanliness of your home that’s why we offer several different styles of cleaning services: SPARKLING CLEAN or MOVE IN – MOVE OUT. You may choose between any of the two extensive categories below and you may select from several available optional EXTRA FINISHING TOUCHES as well. Once you select your choice of clean we will continue to provide that level of clean with the frequency of service you have chosen. Need to make a change, either in your level of service or you would like to add or remove one or more specific options or Extra Finishing Touches or for a one-time event such as a party, or house guests please allow 48 hours prior to your next cleaning so we are prepared and can give you the extra time your home needs. Our exclusive 60PT SPARKLING CLEAN CHECKLIST allows you peace of mind. You always know what to expect from Cleaned to Perfection’s cleaning service. It also makes customizing your service a breeze (i.e. if you don’t needs beds made, garbage removed, maybe not all showers are used each time, etc). 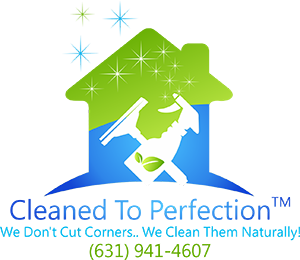 Cleaned to Perfection Cleaning is an all-around higher quality professional residential cleaning service. We care about our clients and it shows in our work. Call or click for a free estimate today!